Do Boiled Vegetables Still Have Fiber? What Are the Five Perfect Foods? 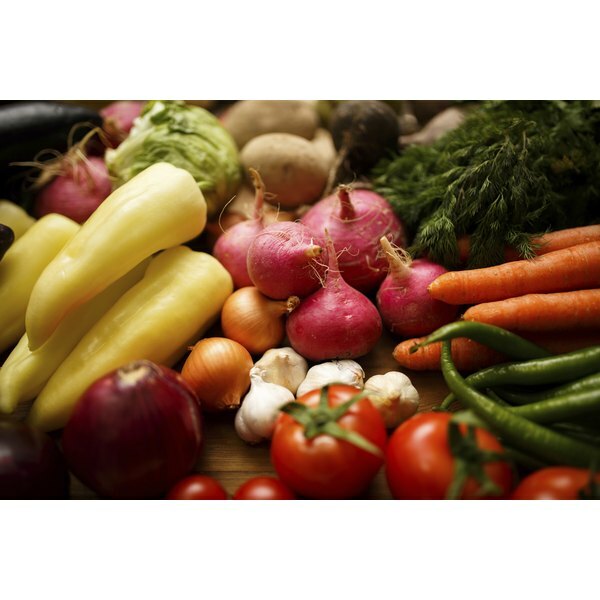 What Vegetables Are Good for Type 2 Diabetics? A colorful array of fresh vegetables. 3 Do Boiled Vegetables Still Have Fiber? Vegetables are a healthy part of the diet of people who have type 2 diabetes. If you have this condition, you are encouraged to eat from the rainbow of vegetables, as colorful choices provide an array of nutrients, vitamins and minerals. Choose dark, leafy greens, deep purples, and bright red, orange and yellow vegetables for great health benefits. Vegetables are also usually excellent sources of fiber and antioxidants, plus they are low in calories. There are only a handful of vegetables that people with diabetes need to watch, and that’s because of their starch content. Green vegetables provide a lot of bang for the calorie buck. You are likely get a plentiful serving of vitamins A, C, E and K, along with calcium, potassium and magnesium. Green vegetables tend to be low-carb foods. The American Diabetes Association says healthy green vegetables for diabetics include asparagus, broccoli, green cabbage, Swiss chard, bok choy, spinach, Brussels sprouts, celery, chayote, artichoke, cucumber and kale, along with collard, mustard and turnip greens. This isn’t an exhaustive list by any stretch, however. Deep purple color signals a food that is rich in phytonutrients, especially antioxidant-rich flavonoids. Healthy purple vegetables include eggplant, purple cabbage, turnips and rutabaga. One cup of turnips, for example, has just 57 calories, a nice serving of 5 g of protein and a healthy 5 g of fiber. It’s also an excellent source of some of the B-vitamins. With so many choices, you never have to guess which vegetables are good for you because they all contain important nutrients. Look to carrots, baby corn, squash, tomatoes and radishes when you want to have fun with bright orange, red and yellow vegetables. Red tomatoes contain high concentrations of lycopene, a powerful antioxidant that MedlinePlus says helps to ward off cancers of the prostate, lung, bladder, ovaries, colon and pancreas. The American Diabetes Association recommends squash because it can be eaten year-round, as there are winter and summer varieties of squash. Squash contains a good helping of vitamins A and C, some B vitamins, plus iron and calcium. The University of California Cooperative Extension says white vegetables may reduce the risk of cancer, heart disease and infection. Those vegetables may also help lower high cholesterol and control high blood pressure. Some healthy white vegetables include cauliflower, bamboo shoots, jicama, water chestnuts, onions, garlic, and leeks and scallions. 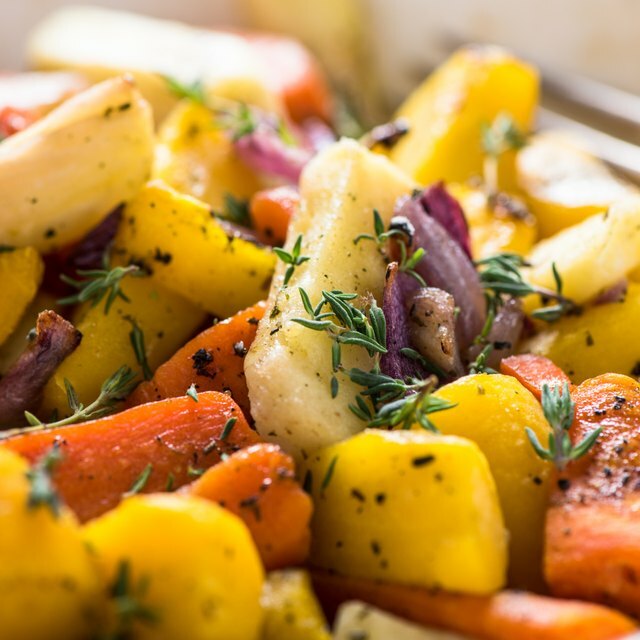 Some vegetables, says the American Diabetes Association, are better classified as starches for purposes of meal planning for people with type 2 diabetes. Their carbohydrate content may be higher than that of other vegetables, meaning you need to be careful of how much of them you can eat in a sitting. The association urges caution when it comes to potatoes, corn, beans and peas. This doesn’t mean these are unhealthy vegetables that you shouldn’t eat, only that their effect on your blood sugar will be a bit more pronounced than other vegetable choices. Angela Ogunjimi has been a prize-winning writer and editor since 1994. She was a general assignment reporter at two newspapers and a business writer at two magazines. She writes on nutrition, obesity, diabetes and weight control for a project of the National Institutes of Health. Ogunjimi holds a master's degree in sociology from George Washington University and a bachelor's in journalism from New York University. What Are the Health Benefits of Brown Rice and Steamed Vegetables?